Valerian is an herbal supplement that is made from the roots of the Valeriana officinalis plant. These roots are extracted, macerated, triturated and dehydrated before they are sealed into capsules. Valerian may also be made into liquid extracts or teas; these types of valerian products often contain other drowsiness-inducing herbs, such as lemon balm or hops. Valerian is known by a number of other names, including garden valerian, radix valerianae, red valerian, setwall, Indian valerian, Belgian valerian, fragrant valerian, common valerian, amantilla, heliotrope, setewale, vandal root and capon's tail. Although the Food and Drug Administration has not evaluated the safety of valerian, valerian supplements have been used for centuries to treat a variety of conditions, including insomnia, restlessness, headache, irregular heartbeat, depression and trembling. Hippocrates wrote of the many benefits of valerian and second-century physician Claudius Galen prescribed it as a treatment for patients with insomnia or other sleep disorders. Valerian has also been used to treat anxiety, convulsions, epilepsy, Attention-Deficit Hyperactivity Disorder (ADHD), Chronic Fatigue Syndrome (CFS), muscle and joint pain, stomach upset, menstrual discomfort and menopausal symptoms, such as hot flashes and anxiety. Some users claim that valerian can even be used to successfully treat conditions such as nervous stomach cramps or uterine spasticity. 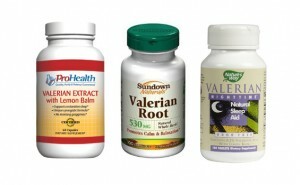 Liquid valerian supplements may also be added to bath water to promote a feeling of relaxation and well-being. However, patients suffering from heart problems, infections, fevers, skin injuries or skin illnesses should consult a doctor before making valerian baths a regular part of their health or beauty regimen. It's worth noting again that the FDA has not reviewed this supplement or verified the effectiveness of it's use for any of the claims made above. Melatonin is found in animals, plants, and microbes and serves various functions in each species. In humans, melatonin is the hormone that is responsible for the body’s sleep-wake or daytime-nighttime cycles. Lunesta is a popular brand name version of the generic medication eszopiclone and is a sedative that is used to treat insomnia and other sleep problems. Intermezzo was recently approved by the FDA as a low-dose alternative to sleep aids like Ambien. It is a hypnotic sedative made from the generic drug, zolpidem tartrate.